In 1958, Kansas voters ratified the "right to work" amendment. Earlier attempts to pass "right to work" legislation were unsuccessful. 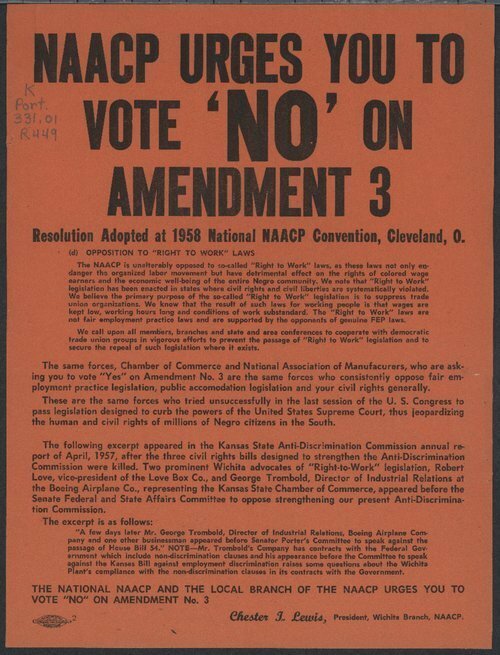 This flyer created by the NAACP argues that the primary purpose of the legislation was to suppress the organization of trade unions.